West Ham have improved significantly under the guidance of Manuel Pellegrini and further activity during the January transfer window is expected as the club push towards their season goals. After heavy investment in the summer, the Hammers’ core squad is looking much better than it did 12 months ago but there is still room for further additions to be drafted in – although outgoing pieces of business may be required to raise funds. 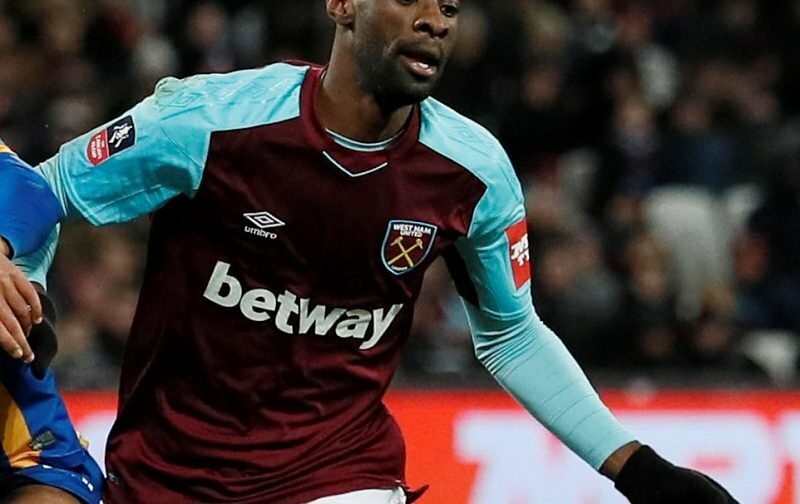 One player who continues to face an uncertain future is Pedro Obiang, who has started just two of West Ham’s last eight Premier League matches, but CalcioMercato states the 26-year-old has rejected two opportunities to move to Italy. AC Milan and Roma were both said to be interested in the Equatorial Guinea international, who earns £55k-a-week in east London according to Spotrac, but the former Sampdoria midfielder is keen on staying within the Premier League. With Mark Noble, Declan Rice, Jack Wilshere and Carlos Sanchez to compete with for a starting berth in the middle of the park, it remains to be seen whether Obiang will continue at the London Stadium or seek a move to a top-flight rival. Jesus what clueless, poor ‘journalism’ – if you can even call it that. He may not have had that many starts recently but to call him forgotten is disingenuous and I suspect just an attempt to fish for clicks. He’s been playing regularly and half the players listed as his competition for starting places are injured! Sanchez is out for the season and Wilshere quite possibly is too. Don’t quit the day job.